Internet privacy is the right of a person concerning storing, using, displaying and sharing his/her user data over the internet with third parties. Privacy concerns are brought in from the start of the internet as a large amount of data is being shared over the internet especially over social media, e-commerce websites, banking websites, telecom websites, and the list continues. With the e-commerce websites gaining huge popularity amongst internet users which uses your personal information, as well as banking information, your personal data is at risk and the risk is rising exponentially. How your internet privacy can be lost? Phishing: Internet hacking is a multimillion dollar business all around the world. This is an easy way of making money over the internet while using your personal information especially your bank account details, credit card details and PIN numbers. Internet Pharming: Internet pharming is a technique in which a visitor is directed to a different IP address ad his information is gathered from thereon. Many of the internet users use VPN software and mobile apps, which is available over app store to use some banned websites in their countries. E.g. people in China use VPN software to access Facebook and connect with the world. Using these type of software may lead to internet pharming and your data can be gathered over the internet. Malware: Malware is a malicious software which can perform a variety of functions; some of which include stealing or deleting sensitive data, modifying system’s core functionalities, and secretly tracking the victim’s activities. There are various factors that can lead to the installation of malware in your system. Installing fake/pirated software can also lead to the downloading of malicious programmes. How your data over e-commerce websites are being used? With e-commerce websites gaining huge popularity amongst internet users, your personal data is at risk. Though e-commerce websites use a very secure mechanism for payments, still, there is a risk. E-commerce websites use the tactic of remarketing through Facebook, Instagram and other social networking platforms in which you will see an ad of those items which you just searched on these websites but did not buy. Your Facebook, Instagram, Google, Amazon account settings play a major role in data sharing. There have been many cases where Facebook and Instagram account of users, celebrities have been hacked and their photos have been used without their consent. Last year, Facebook faced a serious privacy concern when Cambridge Analytica had used details of about 87 million Facebook users without their permission. End last year Facebook had admitted that due to a software flaw, it had exposed photos/data of about 7 million users to a wider audience that they had intended. Now as per a post in Washington Post, the federal trade commission is considering hitting Facebook with a record fine that would surpass its previous record fine of USD 22.5 million which it dealt with Google for bypassing the privacy settings. Never open a wifi network that is not secured. Just because its free, it doesn't mean its safe to use. When using a wifi network in public places, users need to be more careful. Do not open untrusted websites just because they are offering free software, movies, songs or a free software key. They may be just spying, phishing into your data to gain access to your credit cards, PIN or passwords. Do not trust websites which are not secured. All websites over the internet are not secured. Check the websites SSL certificate before using it. A website which has a valid SSL certificate means that data from your browser to the website is safe. 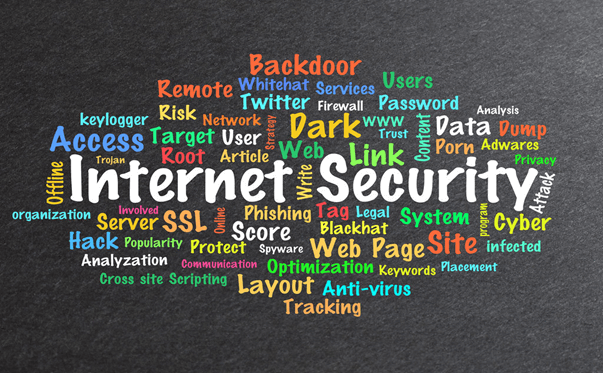 The safety of data then would depend upon the website, their security policies, and software. Do not store passwords, credit card numbers, PIN numbers over untrustworthy websites. These websites share a lot of data with partner websites and other apps which can be used to get important user info and used as sabotage.